I’ve gone through many pages of the baptismal and marriage books for Achada, Nordeste. Some pages are better than others. Up until now I’ve avoided finding a match that was unreadable. Until now. This child, whoever they were, was born in 1730. I have children for this couple born from 1733 to 1743. 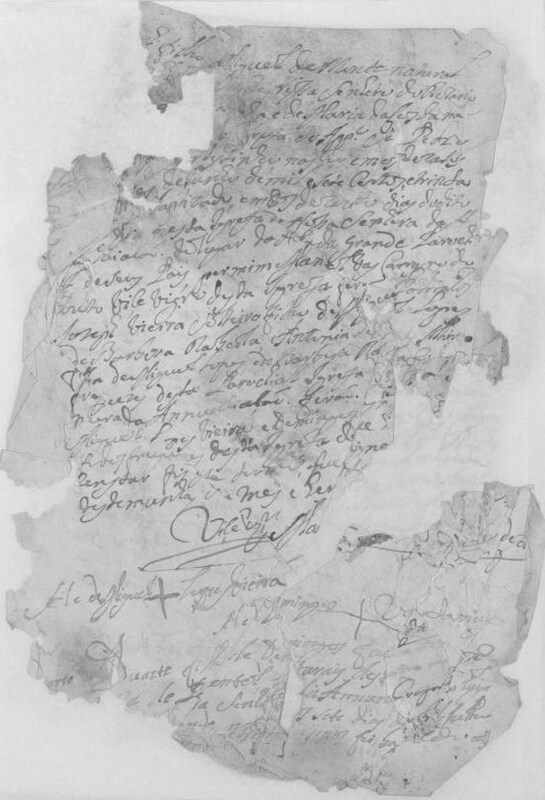 The children from Miguel’s first marriage to Maria Furtada stop at 1723. So, this child shows me that Miguel’s first wife died earlier than I thought. It is possible that I might find a marriage or death record that will supply the name of this child. Until then, I will be left with the blank spot much like the fragment at the top has left this record.